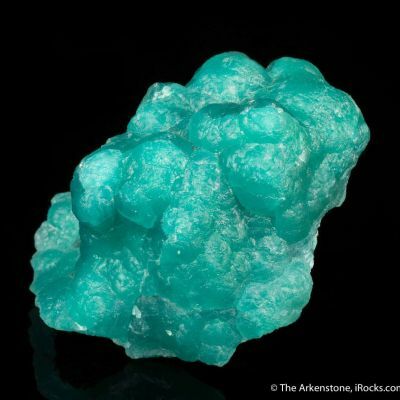 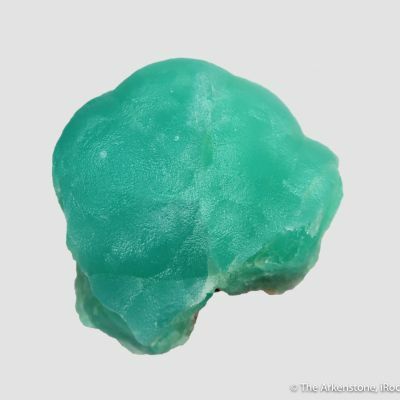 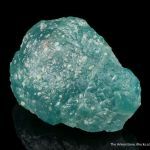 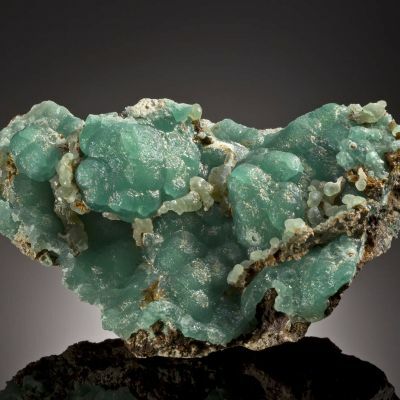 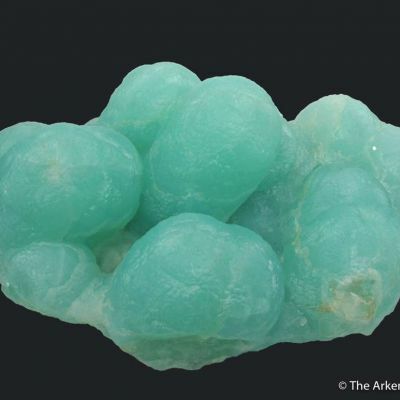 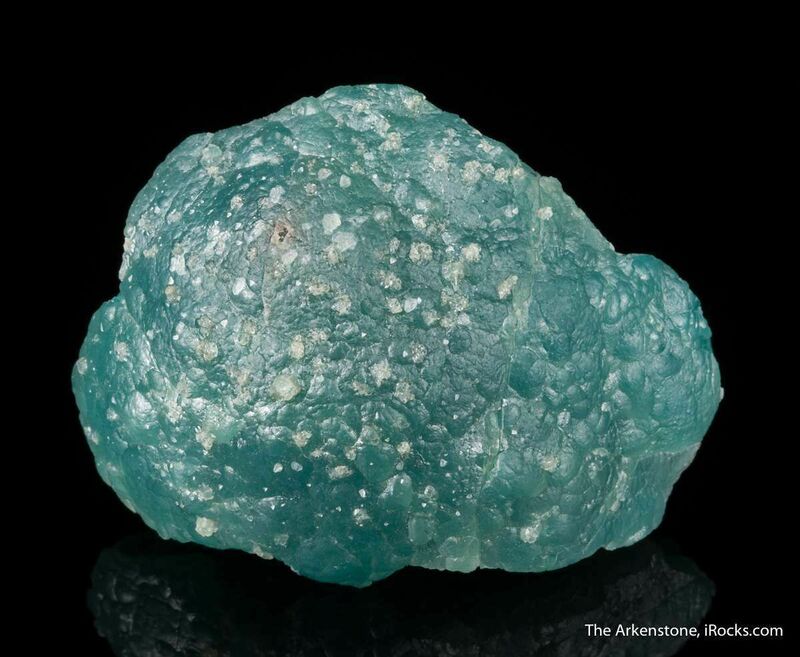 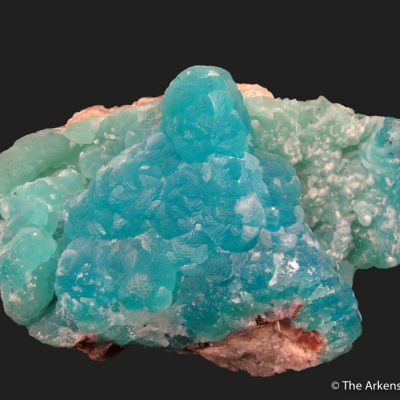 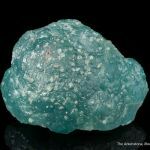 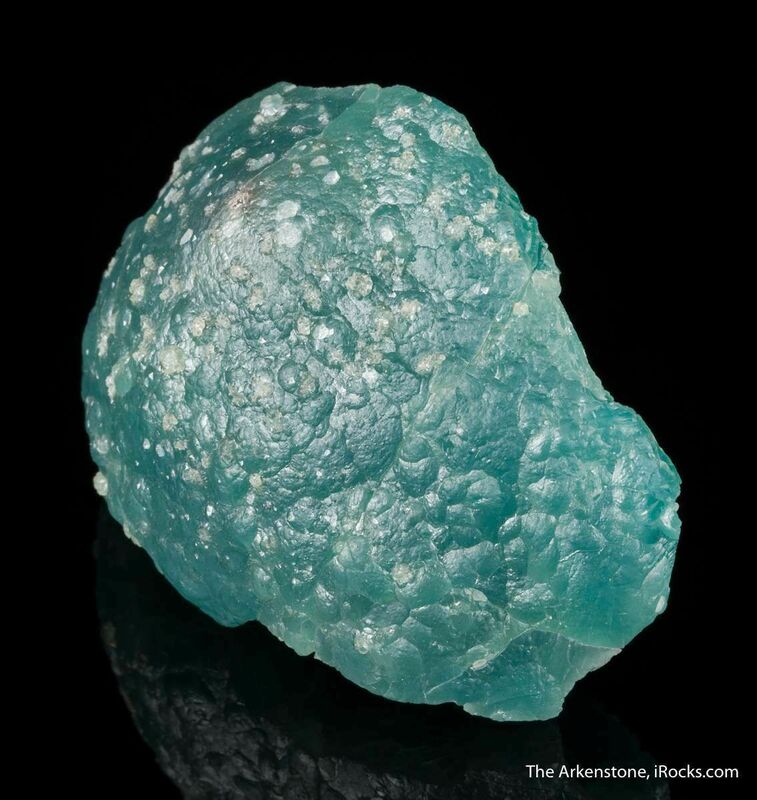 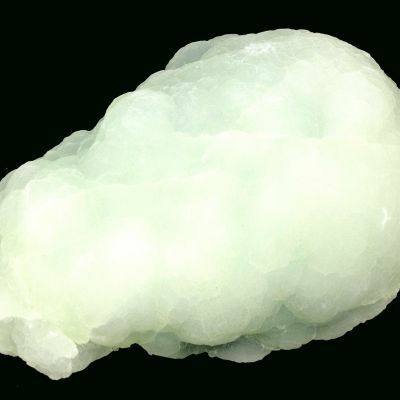 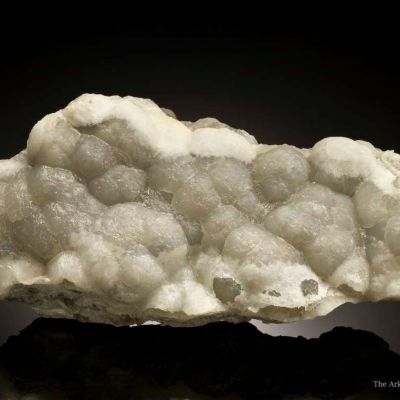 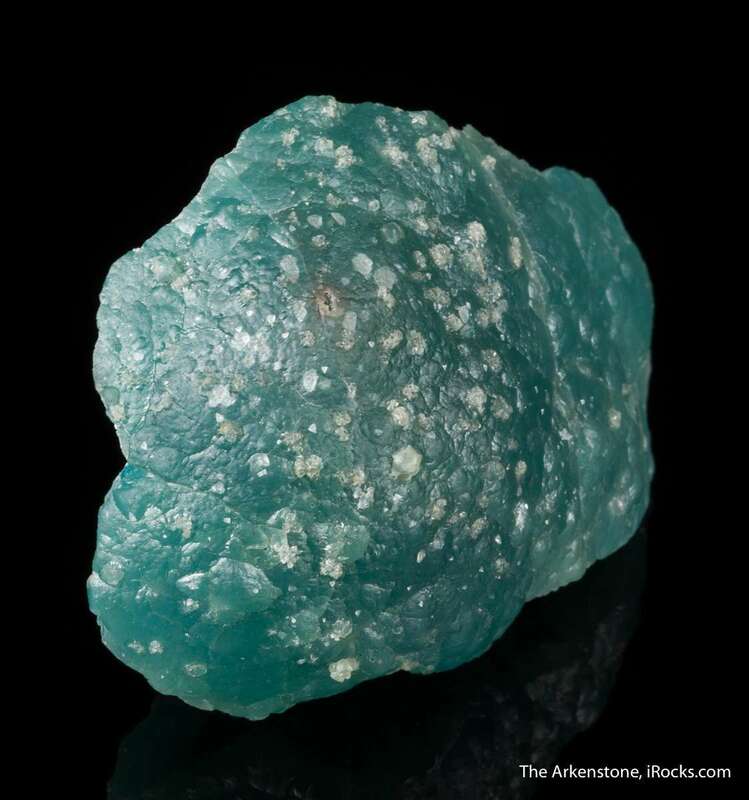 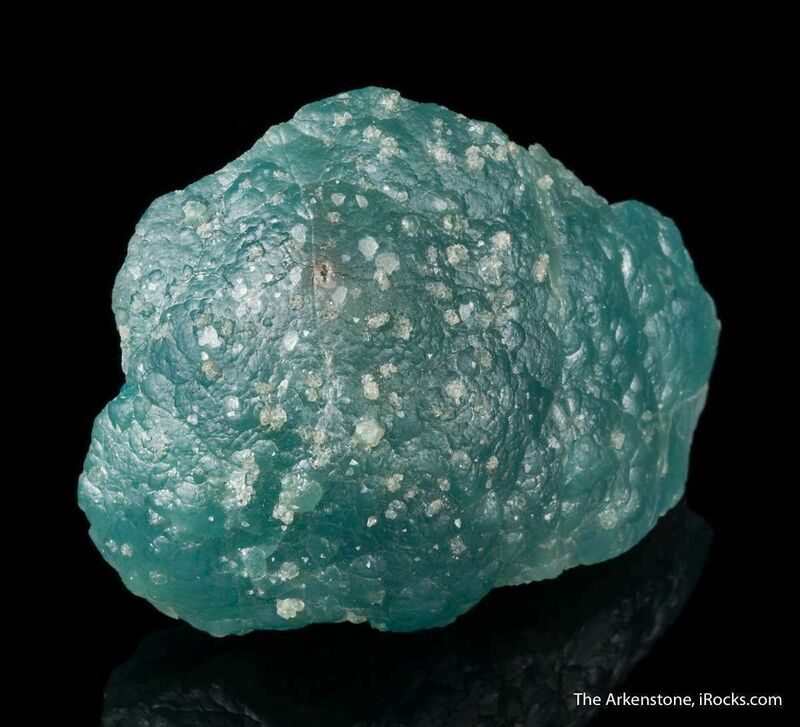 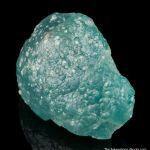 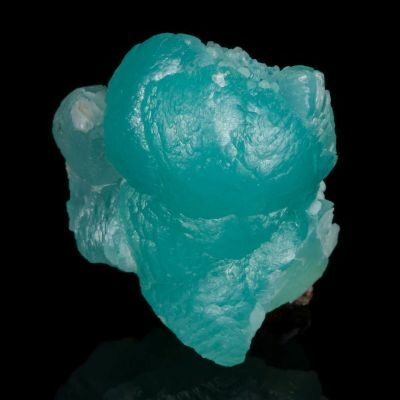 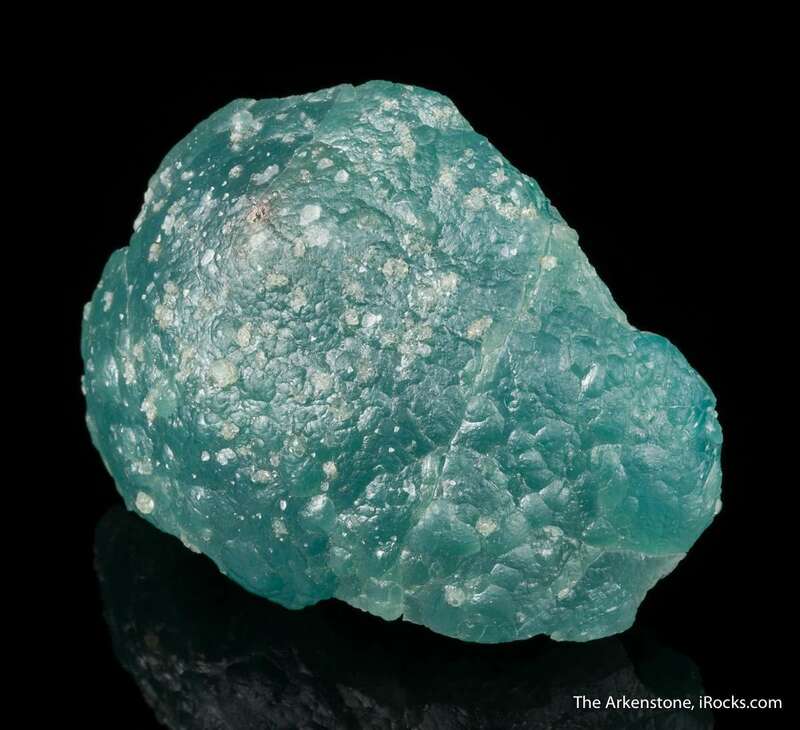 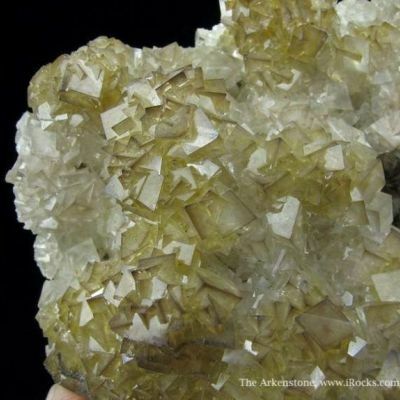 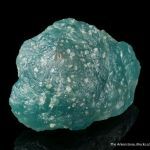 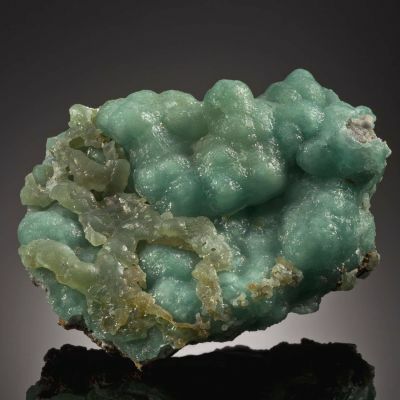 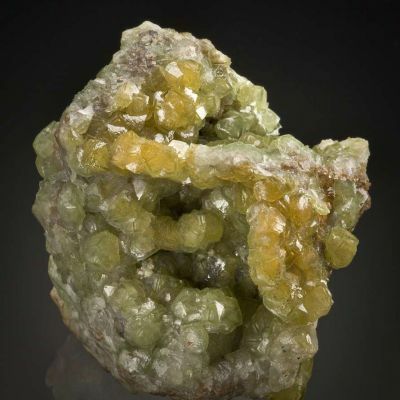 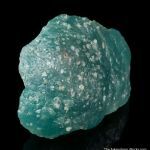 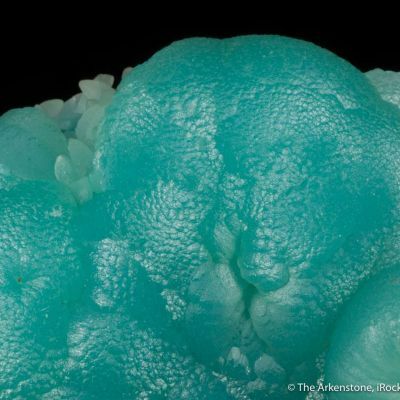 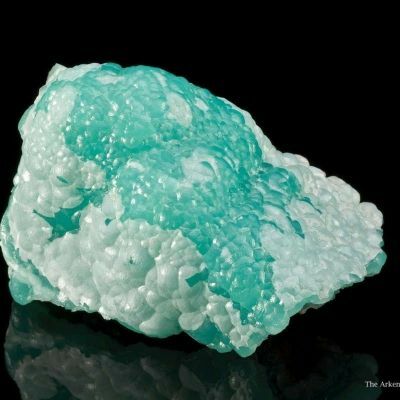 A gorgeous, teal-colored generation of smithsonite is overlain by a later generation of darker blue-green smithsonite, resulting in a lustrous and translucent, rich aqua color when backlit strongly, and various shades of blue in room lighting or with no backlighting. 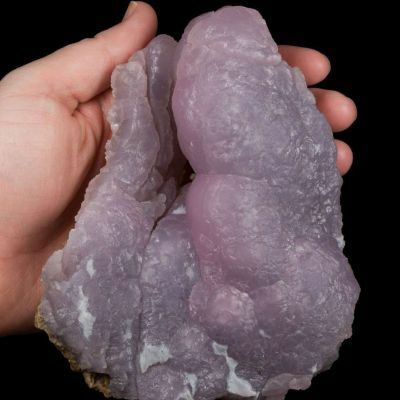 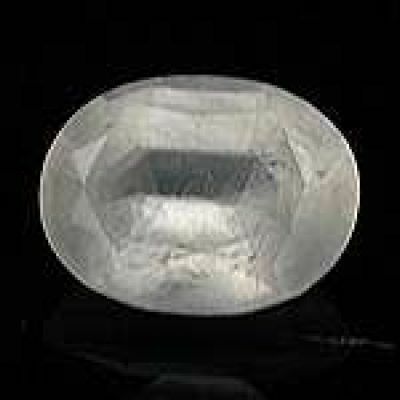 This is classic old material from the mine, from the 199 I heyday I would bet, and is even thick enough for carving and cabochons. 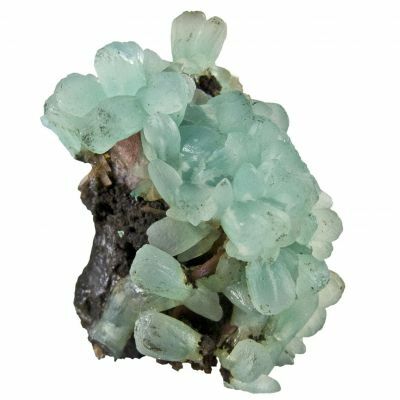 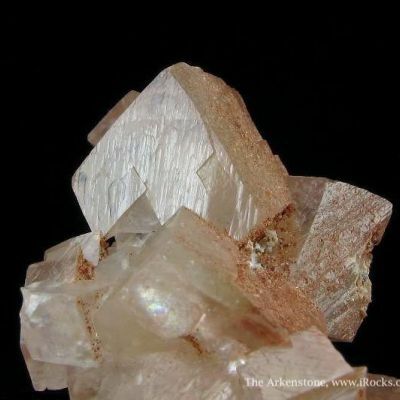 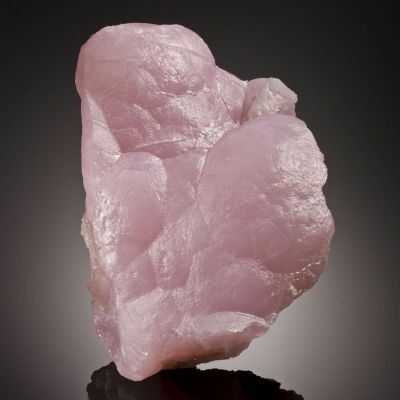 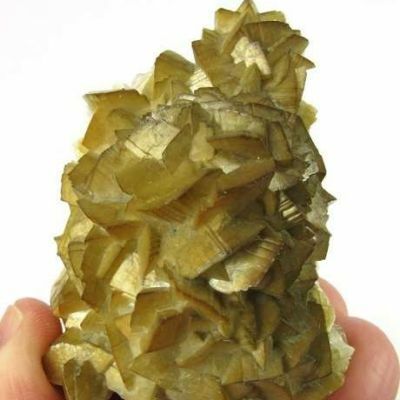 It makes for a very nice display specimen, when stood up and backlit. 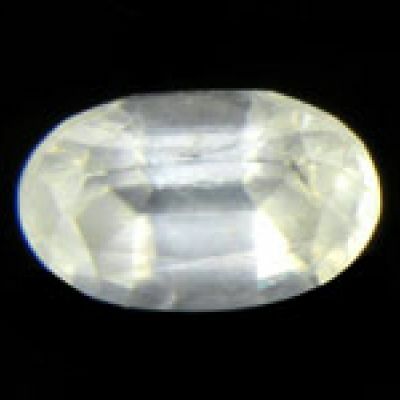 Ex Zigras Mexican collection..